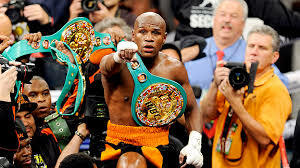 Floyd Mayweather just retired with a perfect 49-0 record after defeating Andre Berto. This feat equals Rocky Marciano's 49-0 record in professional boxing. However, what many people do not know is that Marciano lost 4 fights as an amateur. 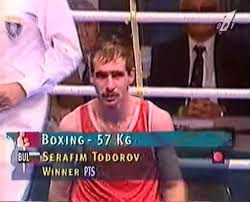 Similarly, Floyd Mayweather did lose 2 fights as an amateur, the last to Bulgarian, Serafim Todorov in the semifinal of the boxing event of the Atlanta 96 Olympic games. 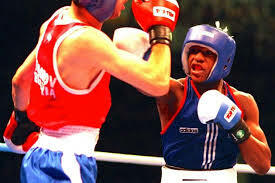 Mayweather went on to become boxing biggest star while Todorov lost his way having never turned pro and ending-up in relative obscurity. Incidentally, Augie Sanchez is another man to have defeated Mayweather as an amateur during the qualifiers for the Atlanta 96 Olympic games. This goes to show that Mayweather knew what he as saying when he said "I am not perfect ... we learn everyday". Great champion he is but a man who never tasted defeat in the boxing ring he definitely isn't. While his professional perfect record stands, Augie Sanchez and Serafin Todorov are 2 men that know what it is like to walk out of a boxing match with Floyd Mayweather as victors and that is something special.